Take on the water in these Island Surf Sail Lite boat shoes! This style features a water-resistant vegan-friendly upper. 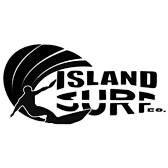 The Island Surf Sail Lite has a memory foam insole and rubber outsole.